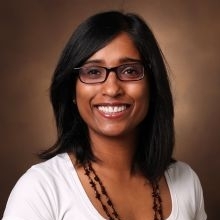 As a member of the UW Integrated Brain Imaging Center (IBIC), Dr. Swati Rane Levendovszky works to improve the sensitivity, specificity and efficiency of magnetic resonance imaging (MRI) methods to allow robust and non-invasive assessment of neurovascular function. Her contributions to the ADRC include novel MRI imaging tools to quantify cerebrovascular pathology. Because most risk factors associated with Alzheimer's Disease have a vascular component, Dr. Rane thinks that new neurovascular interventions, instead of neurocentric interventions, hold promise to improve cognitive outcomes.